Estuarine crocodiles are the largest crocodile species, the longest and most vicious among other crocodile species in the world. Estuarine crocodile habitat also has a very wide distribution, even the largest crocodile species from another. estuarine crocodiles can be found from the Bay of Bengal (India, Sri Lanka, and Bangladesh) to the Fiji Islands. 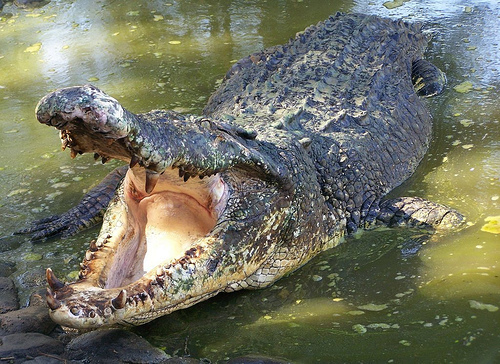 Indonesia became a favorite habitat for estuarine crocodiles in addition to Australia. Crocodiles on the island of Irian only Irian (Indonesia and Papua New Guinea). Body shape crocodiles that live in fresh water such as estuarine crocodiles are smaller and black. Mindoro Crocodile initially including subspecies (subspecies) Guinea crocodile (Crocodylus novaeguineae), but now the crocodile is considered a separate species. 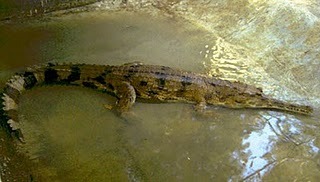 Mindoro crocodile in Indonesia can be found in eastern and southeastern Sulawesi. 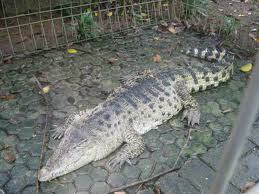 Kalimantan crocodile have similar characteristics to saltwater crocodiles. Because the crocodile found only in East Kalimantan and Kalimantan in the South, the State remains a subject of debate. Siamese crocodile thought to have originated from Siam. 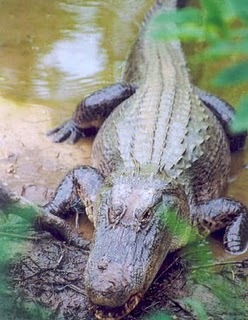 Siamese crocodiles than in Indonesia can be found also in Thailand, Vietnam, Malaysia, Laos, and Cambodia. 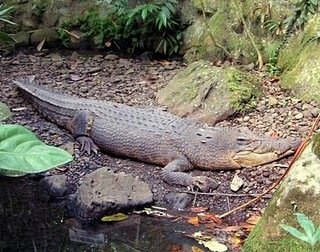 In Indonesia, Siamese crocodile is found only in Java and Kalimantan. 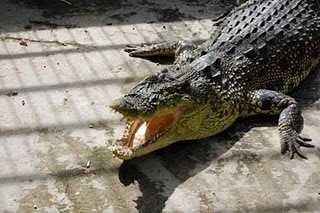 Sahul crocodile equals or is still considered a single species with a crocodile Irian. 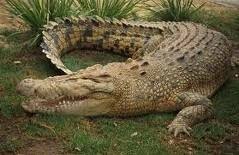 But some taxonomists Sahul crocodile which only airs in the South of Papua was proposed as a separate species. Senyulong crocodile scattered in Sumatra, Kalimantan, and Java. What distinguishes senyulong crocodile with the other crocodile species is relatively narrow snout. 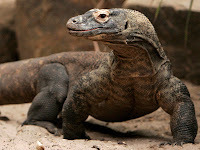 Komodo, or commonly known as Komodo dragons (Varanus komodoensis), is the largest lizard in the world with a body length reaches 2-3 feet and weigh reach 70-140 kg. Large size is associated with symptoms of island gigantism, the tendency for certain body meraksasanya animals that live on a small island linked to the absence of mammalian carnivores on the island where dragons live, and the rate of metabolism of small dragons. Because the body, these lizards are apex predators occupy the place of living ecosystems dominate. Komodo is the only ancient life dinasaurus (endemic) in Indonesia, precisely in the Komodo National Park. 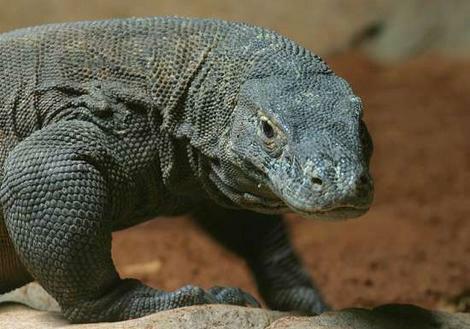 However dragons can also be found in two other islands around the island of Komodo, Padar and Rinca. Komodo dragon lizard secret to survive for 40 million years is because he has a defense system the natural life found in fingernails and saliva. Komodo dragon saliva discussion s deadly because it contains 66 kinds of deadly bacteria. Another secret why the dragon to survive long because of the way dragons breed is very special. Komodo dragons can lay eggs without males (parthenogenesis). Coelacanth is a lot of ancient fish living in 360 million years ago. 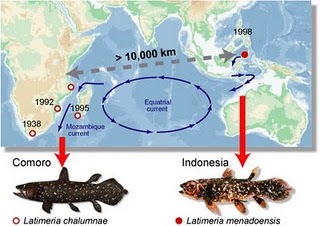 Known as the coelacanth coelacanths are now left only two species Latimeria menadoensis (Indonesian coelacanth) and Latimeria chalumnae (Comoro coelacanth). While other species, about 120 species, considered extinct and only found fossils alone. Coelacanth is fish species have lungs that are believed to most experts as tetrapod ancestors, ancestors that lived on land animals, including humans. Coelacanth have habitat in the deep ocean, 700 feet below sea level. Although sometimes ancient fish could be found in water depths of 200 meters. In 1998, coelacanths caught fishing nets in the waters of the island of Manado Tua, North Sulawesi. This fish species has been commonly known by local fishermen but has not terdiskripsikan to an American researcher who lived in Manado, Mark Erdmann and several friends including LIPI scientists publish it and lately the fish is called a new species, Latimeria menadoensis (Sulawesi coelacanth). Coelacanth Latimeria chalumnae between species (Comoros include Coelacanth ecosystems) and Latimeria menadoensis (include Coelacanth ecosystems Sulawesi), have similar characteristics. This ancient form of fan tail fish with large eyes and scales that look isn't perfect (stone). Up to 2 meters in length, weighing 80-100 kg. The difference found on Latimeria menadoensis colour brown Latimeria chalumnae while blue steel. According Osteoglossids ancient group, these fish already exist in the Jurassic period. Currently, they can be found in the Amazon, and in some parts of Africa, Asia and Australia. 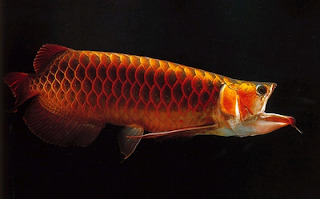 In China, arowana known as the "Dragon fish" because of their appearance, and are considered to be carriers of good luck / good fortune.